Nottinghamshire police have hit back at reports saying they mishandled the Amber Peat investigation. The reports claim the force took two days to address a sighting of of the missing teenager near to where her body was found. 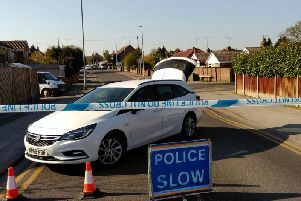 This comes after paperwork, released via a freedom of information request by the IPCC, allegedly suggests a man called the police to say he saw a youngster matching the 13-year-old’s description diappear into the bushed off Westfield Lane. It is then alleged that the police took two days to follow up the report, which is when they found her hanged in the bushes. But the force have hit back in a statement which says the paperwork is what they sent to the IPCC following the teen’s death, and it is not an official report. A spokesman for Nottinghamshire Police said: This is not in any way a report from the IPCC nor a draft report, it is the initial referral paperwork sent to the IPCC by the force in the days following Amber Peat’s death. “As a result the correspondence does not represent the current factual position of the IPCC, as they are continuing to look into the circumstances leading up to Amber’s body being discovered. “No conclusions or recommendations have been sent to the force by way of a report. “Since the initial referral, the inquiry has secured further detailed information from interviews and other sources which will inform the final report. The IPCC has announced it is looking into Nottinghamshire Police’s response to the missing person’s report. Amber went missing from her Bosworth Street home on the evening of Saturday, May 30 after an argument with her parents about household chores. The report of her sighting then allegedly came a day later, after a public appeal and search party by hundreds of officers and members of the community. It has also been also reported that police took 16 hours after her disappearance for the investigation to be upgraded from ‘medium risk’ to ‘high risk’, despite her being a vulnerable young girl alone at night. The investigation is ongoing and officers and members of the public currently being interviewed. Documents and relevant guidelines are also being reviewed in relation to this investigation.